I love the high concept covers of old DC Comics. These covers (by Neal Adams) were probably conceived before the actual story. These two have Superman having identity problems. 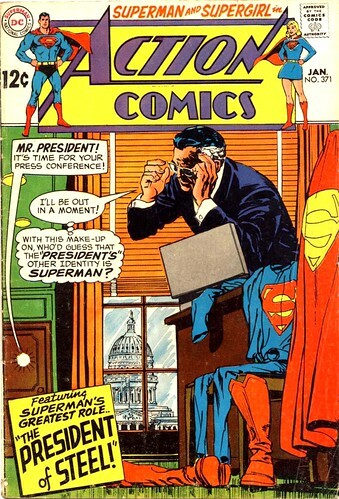 Superman's Greatest Role: The President of Steel! I predict his foreign policy would have been smashing. 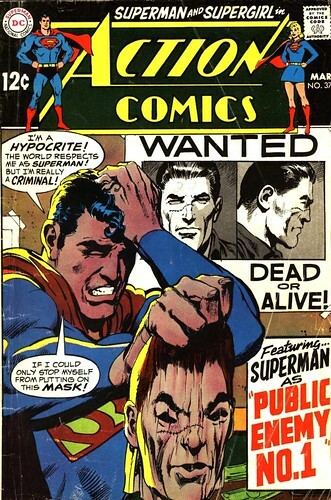 Superman as Public Enemy #1! Obviously suffering from multiple personality disorder. Nuff said.